We are extremely proud to be nominated in not one, but two fantastic categories at this year’s BKU Awards; Best Distributor of the Year, and Best Component Brand of the Year. At Häfele, we pride ourselves on our commitment to quality and innovation excellence, and we are thrilled to be recognised by the industry in both of these prestigious categories. The criteria for the Best Component Brand of the Year award included manufacturing relevant products to the UK and ROI markets, as well as meeting industry standard for both quality and safety. In January, we launched our Häfele Lifetime Guarantee across six of our own brand product ranges, demonstrating our enormous confidence in our own manufacturing abilities. Covering lighting, furniture fittings, drawer systems and sliding door gear, every product range manufactured by Häfele has undergone rigorous testing to relevant industry certification, and we’re thrilled to see this hard work recognised in this award nomination. View our own brand ranges here. To be nominated for The Best Distributor Award, companies must have met a criteria of being a manufacturer, as well as distributing one or more brands from other manufacturers. Whilst we take great pride in our own brand product ranges, we also ensure that our customers are provided with a range of solutions from leading manufacturers that we partner with, spanning good, better and best. These partner brands are carefully selected to ensure that they share our strong commitment to quality and performance. Being nominated for this category is a testament to our commitment and we are thrilled to be a part of such an exciting and competitive category. As well as being nominated for two awards, we are also proud to sponsor the Independent Kitchen Retailer of the Year Award. 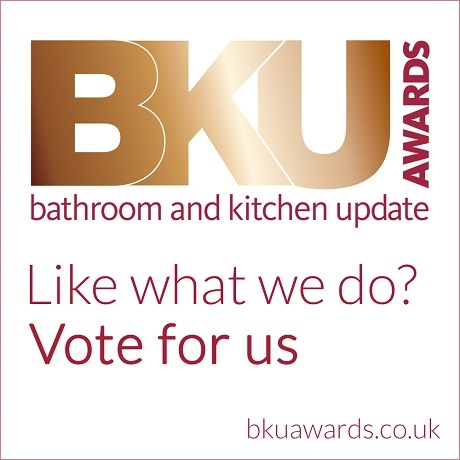 This category recognises the hard work of independent kitchen businesses; the manufacturing excellence, design skill, and eye for detail that British kitchen design is internationally renowned for. Find out more about this category and why we have chosen to sponsor it here.